In this interview, Keri Kazz talks about being mentored by Franz Harary, The House of Magic, and then working with Thom Britton and Chuck Clark in creating The Danger Circus. 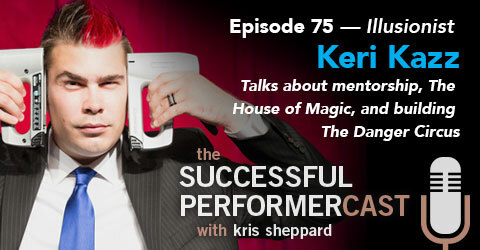 Keri Kazz is a legend of “Detroit’s Motor City Magic Scene.” At 23 years old, he’s already accomplished more than most magicians have in their entire career. Sure he’s done strolling magic in restaurants and presentations at trade shows for corporate clients, but he’s also developed an illusion show that has taken him around the world playing stages in China, India, Spain, and Taiwan as part of Franz Harary’s Mega Magic Touring Show. Currently, he’s gearing up to go on tour with The Danger Circus, that features fire eating, glass walking, knife juggling, dangerous escapes, and a unique blend of illusion and sketch comedy. 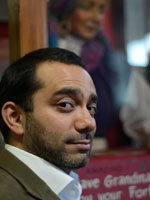 In this episode, I talk to bizarre magician Christian Cagigal. We talk about his career and numerous topics including leaving a long-lasting impression on his audiences and how he gets people through the door of his shows. 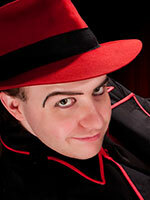 Christian Cagigal is an actor, writer, and magician out of and around the San Francisco Bay Area. He’s one of “Ten Bay Area artists on their way to becoming icons” as dictated by the San Francisco Weekly and was voted Best of the Bay, for the second time, by the San Francisco Bay Guardian. The 13 Steps, The Pandora Experiment, the long running OBSCURA, The Collection, and the show Now and at the Hour which he’s currently working on a performance film of and that is being directed by internationally recognized San Francisco filmmaker H.P. Mendoza. Finally, he’s also consulted for a number of theater companies such as A.C.T.’s MFA program, Crowded Fire Theatre Company, The Traveling Jewish Theater Company, Marin Shakespeare Company, EXIT Theatre DIVAfest and The San Francisco Ghost Hunt Walking Tour. 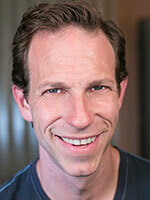 Jonathan Levit is like the joker in a pack of cards. Magician. Actor. Television Host. Emcee. Producer. Consultant. Lecturer. These are all hats that he’s worn throughout his career and he’s been able to weave his love for magic throughout all his creative endeavors. 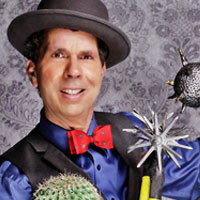 He’s traveled the country performing magic for private parties and on cruise ships. He’s a frequent performer at the Hollywood Magic Castle. He’s consulted for television and movies teaching the likes of Steve Carell, Jessie Eisenberg, Jack Davenport, David Duchovny, and Olivia Wilde how to do magic. You might recognize him from some of his guest star roles on The X Files, FlashForward, The Others, and the Huntress, or as a host for The Discovery Channel, The Science Channel, The Biography Channel, or on VH1’s Celebrecadabra.